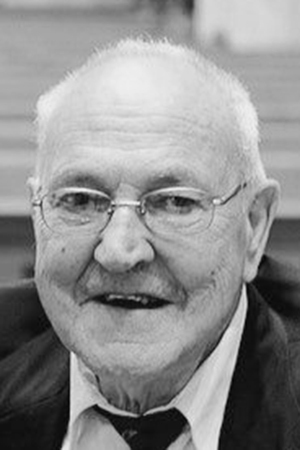 AUBURN – Bertrand A. Martin, 90, of Lewiston and formerly of Kents Hill and Fayette, died Friday, March 22, 2019, at the Androscoggin Hospice House in Auburn. Born in Lewiston on June 14, 1928, he was the son of Francois and Reine Bourgoin Martin. Educated locally, he left school in order to help support his family, but later went back to night school and graduated with one of his sons from Lewiston High School, class of ’78. 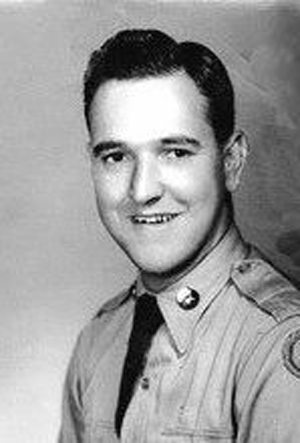 He was a veteran of the Korean War, serving with the U.S. Army. After his discharge, he returned to Lewiston and on Sept. 29, 1956, he married the former Irene Rioux. He was employed for many years as a sheet metal fabricator at Bath Iron Works, retiring in 1995. Bert was a devoted husband and father, but especially loved being a grandfather. He was very active in several youth sports as a coach, organizer, and, in his childhood, an athlete. Over the years Bert was active in the American Legion Post #40, VFW Post #3335, and the Elks Club. A member of Holy Cross Church, Prince of Peace Parish, he is survived by his wife Irene, of Lewiston; three children, Ronald and wife, Anne Marie of Lisbon, Daniel of Lewiston, and Joan and husband, David Anthony of Freeport, a Godchild who lived with them for eight years, Ronald Johansen and his wife, Jeannine of Lewiston; 10 grandchildren: Tyler, Audrey, Lydia, and Spencer Martin; Nicholas, Christian, and Shawn Anthony; Sheryl Griffey, and Steve and Derek Johansen; and three great-grandchildren: Eli and Saige Martin and Ryan Griffey; and a sister-in-law, Collette. He was predeceased by his three brothers, Lucien of Turner, Paul of Hollywood, Fla., and Marcel of Lewiston, a sister, Jane and husband, Robert Audet of Syracuse, N.Y.
Visitation will be held at the Albert & Burpee Funeral Home on Monday, 2-4 and 6-8 p.m. Services will be Tuesday, 11 a.m. at Holy Cross Church in Lewiston. Interment at Maine Veterans’ Memorial Cemetery at a later date. Condolences, donations, and a video tribute may be found online at www.albert-burpee.com.